Recently I have written a few blog posts about the proposed establishment of a new free school in Ixworth and Stanton. In doing so I have become embroiled in what seems to be a pitched battle between groups of parents, teachers and schools on each side of the argument. But this is just a tiny part of the story as to what has been happening in the West of Suffolk in the area surrounding Bury St Edmunds. To describe it as an educational car wreck would not get close to the truth. More like an educational motorway pile up. The story starts with Suffolk County Council's school organisation review. The County Council in my view quite rightly decided that Suffolk should move to a completely two tier system and Middle Schools should be abolished. They cited quite a few reasons for this around attainment but the fact of the matter is that Middle Schools are declining fast and two tier is by far the most usual patten of education nationally. As a strong supporter of primary education I think that an extra two years in the more nurturing environment of a primary school are really important. But I will put that to one side. Others disagree and I completely accept that any transition was always going to have some adverse impact on the current pupils and their parents. Suffolk's transition plans were not exactly brilliant when they were produced but they had a clear phased approach and used the Building Schools for the Future (BSF) funding from the then Labour government to fund the expansion to primary and upper schools that would be needed. The transition would start in the less well off areas of the County (as this is where BSF money was targeted) so as you can imagine West Suffolk was to be one of the later areas to go. The Middle Schools were not exactly pleased about plans to abolish them and many parents did not see the case for the change, especially as it would be disruptive for their children. Campaign groups formed and discussions about the transitional arrangements started to happen. Then came the May 2010 General Election. Literally within weeks the new Government announced two new policies that have led to the current mess. They scrapped the Building Schools for the Future programme and announced their academies and free schools policy. Co-inciding with this Suffolk County Council decided to take part in an ill-fated experiment in localism called the "new strategic direction" spearheaded by Andrea Hill the then CEO. This set the scene for the disaster that was to follow and looking back on how we got here is a bit like reading a report of a plane that the crashed it took all of these elements to come together to cause the problem. So with the BSF money gone it was unclear how the re-organisation would be funded. Meanwhile Suffolk County Council started to "restructure" its education staff and reduce their numbers significantly. The "new strategic direction" began to run into trouble. It was unclear what would happen to the school re-organisation plans. Faced with the Government running a coach and horses through their plans you might imagine the County Council would be up in arms with the new Government but that was not the case. Suffolk was being portrayed as a leading local authority by the new government and the Leader of the Council at the time Jeremy Pembroke was getting to meet ministers down in Westminster and did not seem to want to rock the boat with his political friends in London. Elsewhere in the country Councils launched legal actions against the withdrawal of BSF funding but Suffolk did nothing. Then Middle Schools began to see that the Academies policy might provide a neat solution to their dilemma. Convert to academy status and the local authority are no longer able to close or reorganise the school. So some middle schools in Bury applied and at the time the DfE seemed to be approving applications with very little scrutiny. After all this was a new policy and the more schools converted the better it looked. The applications were passed and the Middle Schools became academies. The County Council had as you might say bigger fish to fry. The "new strategic direction" collapsed taking with it both the Leader of the Council and the CEO. Plans to close large numbers of libraries were abandoned and a new Leader, Mark Bee, appointed. So then another group of middle schools in Stowmarket decided to do the same and again their applications were passed but so far their funding agreements have yet to be signed. It is at this point that the Government, probably with help from local MPs and a County Council that had just got a new Leader and started to get itself a bit more sorted out, seemed to realise that these decisions were incorrect. The next group of middle schools Beyton, Blackbourne in Stanton and Ixworth had their academy bids rejected on the grounds that that they would have an adverse affect on other schools and we are nearly up to date with the story. During this time a partnership of schools in the Thurston area had begun to plan the move to two tier and met with stakeholders locally including the middle schools. My understanding is that the middle schools were less than keen to take part in this process and failed to engage effectively. They still had their academy bids and probably expected them to succeed. The plan was for the local primaries to expand and for Thurston Community School to expand to take the Year 7 and 8 children from the Middle Schools. The proposal envisaged Beyton Middle schools site (which was originally contracted as a 700 place 11-16 school) becoming a second campus of Thurston. The plan was supported by the County Council and it looked at last that the pile up might be cleaned up. Then along came the proposal for a free school in Ixworth (and it is clear from an article in the EADT this morning that this is where it is mean to be sited) and crashed into the back of the wreckage. Suffolk County Council were forced into including this in the consultation on the Thurston proposals hoist by their own academies and free schools policy. So now we have people on both sides of this argument engaged in something of a pitched battle and it was into this situation that I became embroiled by asking a few questions about who was proposing the school and asking to attend a meeting. 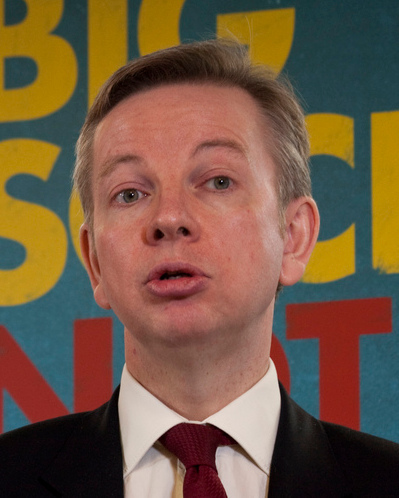 What worries me is that this is the real consequences of Gove's school policies. In particular to get rid of "interfering LA's" as he calls them. As readers of this Blog will know I am a strong supporter of local management of schools. But local management of schools does not mean the strategic role of the local authority needs to be weakened or abolished. What has happened is Gove is replacing this local strategic control with a central control from Westminster. And as the Suffolk experiment shows this just doesn't work. We have seen a local authority at least for a time all but give up their control and the inability of Whitehall to realise that the academy bids for middle schools were a really bad idea. For many of us in Suffolk the County Council in Ipswich seems remote and out of touch enough at times. But it is a much better option than the Brave New World from Westminster. Gove needs to rethink his academy and free school plans not so much on the detail of how schools are managed internally but more on the strategic oversight of them. He needs to hand the extensive and ever-increasing personal powers of the Secretary of State for Education to local education authorities. That would show a real commitment to localism, accountability and democracy.